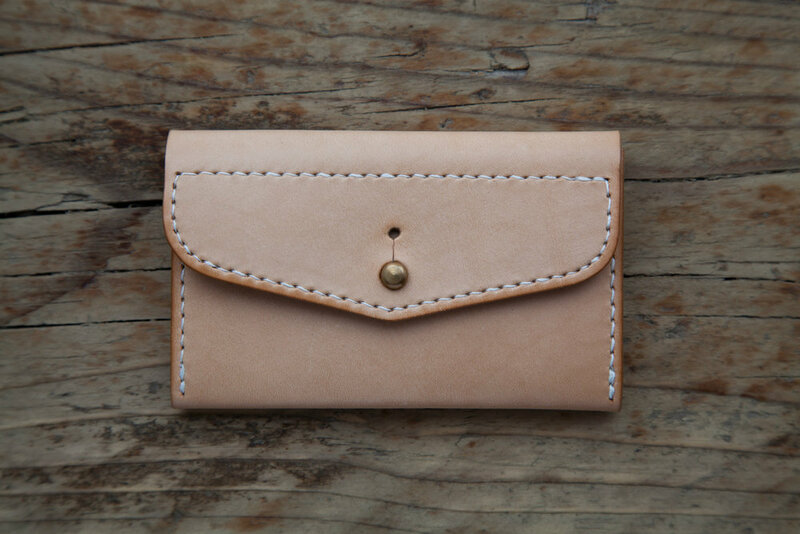 This stud wallet is hand made in London. The natural leather is vegetable tanned and will darken over time. 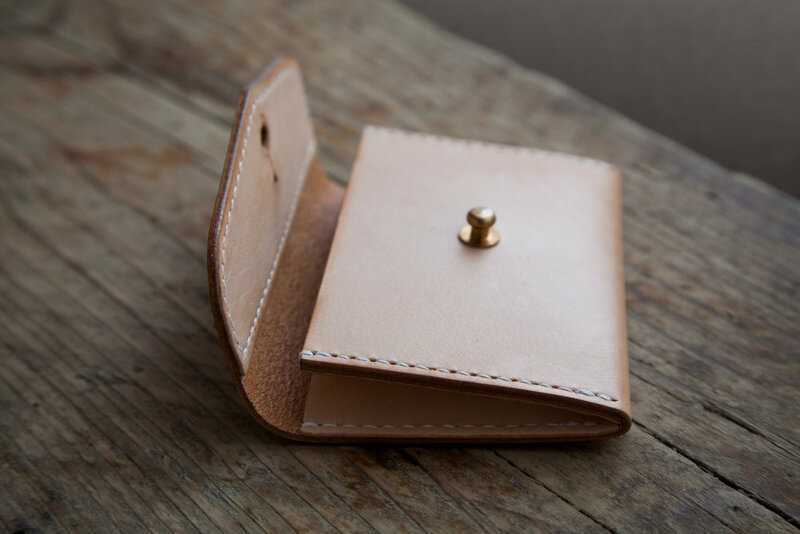 The stud wallet is stitched with a beeswaxed linen thread in a hand stitch superior to a machine.